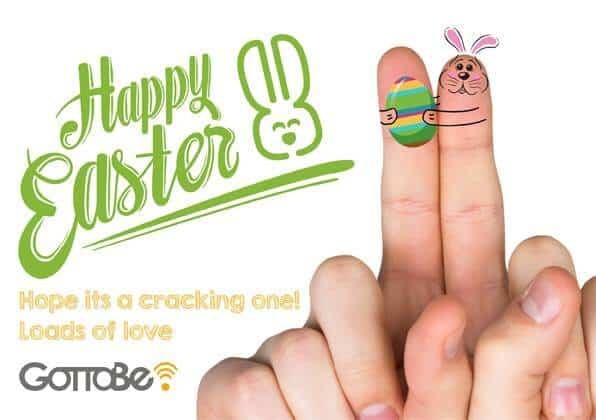 With Easter around the corner, the team at GottaBe! would like to taking this opportunity to wish all of our Clients, Partners, Suppliers and Colleagues a very Happy Easter. Hope it’s a cracking one! We also would like to advice of our revised opening hours at GottaBe! HQ to allow our staff to enjoy their Easter celebrations. During the office closures, there will be On-Call Duty Manager who can be contacted on 07882 381 668.